From 8 bit to 32 Bit Software Solution. In the embedded world ARM is one of the most popular CPU/MCU used these days. We can develop your solution using this kind of MCU/CPU. 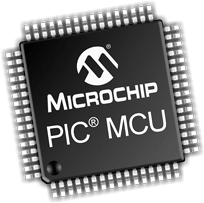 when application are particulary simple an 8 bit MCU could well be the best way to deliver quickly a product to the market. Picoblaze, Microblaze and Zynq are microcontroller that can be embedded in Xilinx FPGA. We can develop solutios based on these Software based MCU. ARM Based SAM9 -SAMA5 - When more computation power is needed from an ARM (e.g. FPU, or more memory, or a Linux BAsed OS) then solution like SAM9 or a SAMA5 could be excellent solution. very low in power (150mW) and up tp 945 DMIPS the SAMA5 is a state of art CPU. SAM9 offer a superb alternative to SAMA5 when the performance needed are not so demanding. Cypress PSoC - Cypress offer PSoC3, PSoC4, PSoC5 solutions. Which offer the advantage to have Analog blocks, digital blocks and a CPU (8051, M0 or M3) all in one small packages. This solution is probably not the most cost effective, but it allow to reduce the time-to-marlek drastically due to the excellent tools provided by Cypress. AVR Familty - 8 bit Risc solution originally from Atmel (Now Microchip), excellent alternative to PIC. Widly used in the Maker market with the Arduino solution. PicoBlaze, Microblaze, Zynq - Xilinx's solution for SoC based CPU. The Microblaze, Picoblaze and Zynq are IP based microcontroller that can be instantiated in XIlinx FPGA. 8051 based - Silabs offer one of the most cost effective and energy friendly solution in the market based on the 8051. We can help you in selecting the best solution for your particular application and show the pros and contros of each solution showed above. We use primarly C and C++ for embedded solution, however from time to time we may also use solution based on script languages like python as well. Contact us for more information.